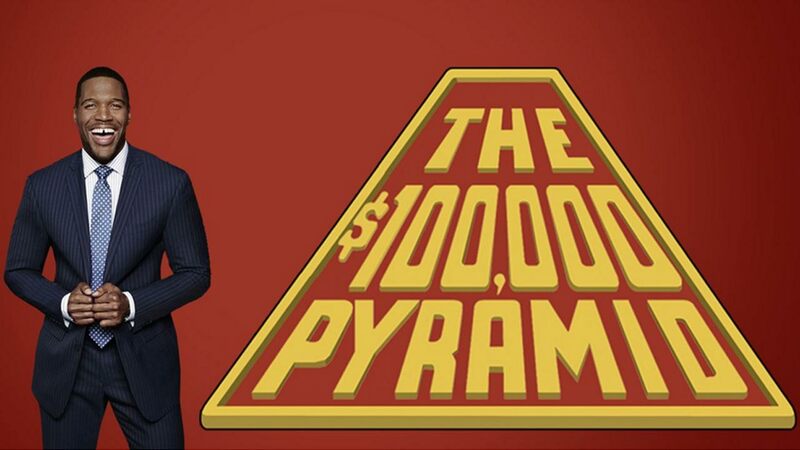 LOS ANGELES (KGO) -- ABC's "$100,000 Pyramid" reboot is coming this summer, and the show is looking for contestants! The revival of the iconic show will be hosted by Michael Strahan, co-host of "Live! With Kelly and Michael." The new version will stay true to the classic format, featuring two contestants, each paired with a celebrity. Players will attempt to guess a series of words or phrases based on descriptions given to them by their teammates. Casting will begin in April, and the show, which is being produced by Sony Pictures Television, will be taped in New York City. For more information on the application process to become a contestant, visit www.castingpyramid.com.